On moving into our new house with an open terrace and plenty of sunshine, I started drying all kinds of things like pomogranate peels and hibiscus flowers (for natural dyeing), and other herbs to experiment with. That's for a separate post. 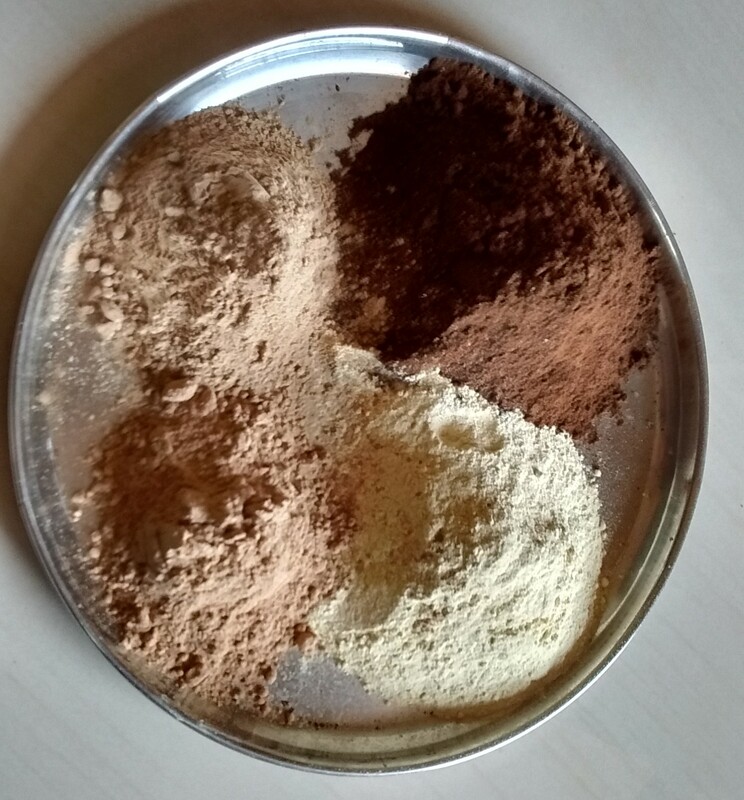 As I started collecting sundried used coffee grounds and sundried citrus peels, I came upon an idea for a homemade dishwash powder. After several rounds of experimentation, here's a recipe that's been working great for us. Yes, on all the greasy pots and pans too. It's making cost (including ingredients and grinding cost) is just over Rs.50 per kilo. Sieve it fine for best results. I have started collecting them from the local Kumbakonam Degree Coffee Shop to have the joy of making more and sharing with friends here. I bought a whole sack of sweet lime peels from a roadside juice vendor, sundried it, and took it to the local flour mill. It gave me a whole lot of powder to last a year! You can experiment adding other locally available materials like wood ash, neem powder, dried tamarind powder, tamarind leaf powder, coir pith, etc. Thanks so much for sharing this Sangee! How long do you need to sundry the citrus peels for? And do you use them as is or first remove the pith? Llthank you, looking forward to trying this recipe soon..
Hi Sangeetha, tried tis n it works perfectly well.thanks on tat..would like to kno similar ec-friendly alternatives for laundry detergent as well..soapnuts don seem to work well on soiled/white clothes.